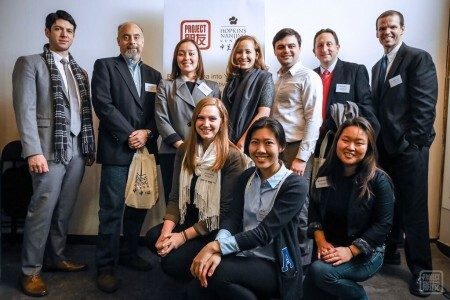 This past Thursday, Project Pengyou and the Hopkins-Nanjing Center were honored to co-host the panel “Building China into Your Career: Experts’ Perspectives from the Classroom to the Workplace” in our hutong courtyard. 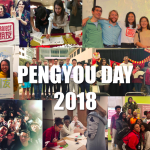 This post was co-authored by Project Pengyou interns, Tammy Tian and Sophie Allison. 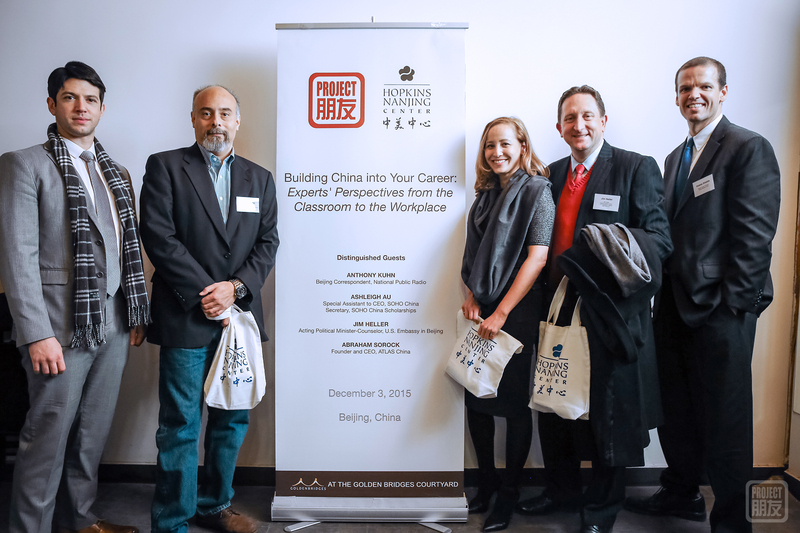 This past Thursday, Project Pengyou and the Hopkins-Nanjing Center (HNC) were honored to co-host the panel “Building China into Your Career: Experts’ Perspectives from the Classroom to the Workplace” in our hutong. The event featured prominent HNC alumni including keynote speaker Anthony Kuhn, the Beijing Correspondent for National Public Radio (NPR), and panelists Ashley Au, Special Assistant to CEO, SOHO China and Secretary, SOHO China Scholarships, Jim Heller, Acting Political Minister-Counselor, U.S. Embassy in Beijing and Abe Sorock, Founder and CEO of ATLAS China. They each had varied professional experience in China including business, policy and nonprofit. Each distinguished guest had a unique perspective and shared their tips and tricks to succeeding in China. Although they each had a different start in China, it sparked a lasting interest which allowed them to build their careers here. All of them discovered the diverse opportunities China holds across many sectors for building a career. For some, China was a connection to a piece of their family history. Others were inspired by teachers and friends to learn about China. However, all of the speakers valued their experiences here and the people that led them there. The event drew a crowd of almost 70 attendees and several more people on the wait-list. The panel was followed by a reception where participants got a chance to mingle and ask the speakers more in-depth questions about their experiences. This was a very well-attended event, a testament to both the speakers as well as a growing interest in China-related careers. 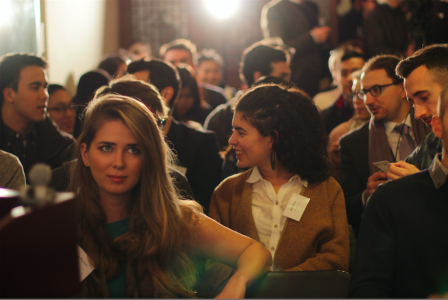 Many guests expressed after the event that they were encouraged to hear that although the panelists all started in different places in their career trajectory with China, they all eventually ended up where they wanted to be. A common theme among the speakers was the combination of necessary skills and interest in China. Anthony explained the separation as 70 percent professional skill and 30 percent China knowledge. The panelists stressed that Chinese language skills are necessary to work in any China related field. This balance and these skills varied depending on the field but all of the panelists agreed on the importance of good communication and writing skills to career success. Additionally, Mr. Heller talked about the growing need of Americans with multiple cross-cultural skill sets that include China. He especially emphasized that in the diplomacy sector, the BRIC (Brazil, Russia, India, China) countries overlap more and more, and that he even knew of US embassies in Africa that would benefit from a person with China knowledge. Abe Sorock told the crowd to be excellent at what they do, and built on the idea of a China/skills split by saying that it was not so much a percentage, but a bigger pie chart. “To succeed in China, you have to be 200%…an important skill to have is knowing how to teach yourself,” he said. Abe helped us understand this concept for a contemporary China job market. “People aren’t just pegged as a China person anymore,” Mr. Sorock said. “Today people say you’re a ‘China-what-kind-of-person.’ You specialize in something. There is increasing diversification in the skills needed in China.” By refining your craft and skills to specialize in something, you are not only the best in your field but also in high demand. Although in the past this may have been a risky move, rather than viewing specialization as automatically being “pigeon-holed,” our generation has increasingly relevant specialties to offer to the job market. Ms. Au related how if you would like to get a job in China, you should be here. Jobs look closely at your location and availability. When hiring, companies often interview on Thursday and want you to start the next Monday. Many of the panelists gave encouraging stories about how they started in China pursuing something else, but through actively seeking out their interests and sharing those interests with their friends and networks, they ended up where they are now. China-related careers now involve more specialized skill-sets. Find something you are passionate about, and a way to work China into that field. Nurture your network and find mentors who will support you. In terms of specific skill sets, communication is key to almost every job (language skills, writing skills, and the ability to communicate professionally). We hope that you all will find something you are passionate about and find a way to connect it to China and build bridges across cultures, no matter what the industry, bringing the world a little bit closer. We thank each of our panelists, our partners at the Hopkins-Nanjing Center, and all of our guests for taking the time to make it to our hutong courtyard on a chilly winter night. Stay tuned for video footage of the event to come, but here are some photo highlights! Anthony Kuhn has worked as a foreign correspondent for NPR since 2004. He has been based in Beijing since 2013, and previously, from 2005 to 2010. He has also been based in London (2004-2005) and Jakarta (2010-2013) for NPR. 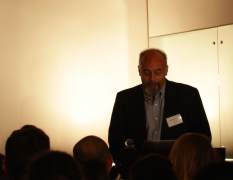 Previously, he worked for the Far Eastern Economic Review, the Los Angeles Times, and other media in Beijing. He graduated from the Hopkins-Nanjing Center in 1992, and received his BA from Washington University in St.Louis. He first visited Japan in 1964, and Beijing in 1982. He feels lucky to be researching and informing listeners/readers about topics that intrigued him as a student at the Hopkins-Nanjing Center. He has interviewed his former teachers and returned to the center to speak to students about his work. Ashleigh Au is a Public Relations and Communications Professional with over 10 years of China experience. She has worked with SOHO China, the largest prime office property developer in Beijing and Shanghai, for the past six years. She is now Special Assistant to the CEO, one of Chinaʼs foremost entrepreneurs, and Secretary, SOHO China Scholarships, where she oversees a US$100 million initiative to endow financial aid scholarships for Chinese students at top international universities. 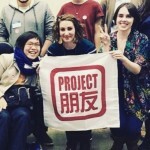 Ashleigh earned a Graduate Certificate in Chinese and American Studies from the Hopkins-Nanjing Center in 2008 and a BA with distinction in East Asian and Latin American Studies from the University of Toronto. Jim Heller is a Foreign Service Officer currently serving as the Acting Political Minister-Counselor at the U.S. Embassy in Beijing. Prior to this assignment, he was the Political Section External Unit Chief at the U.S. Embassy in Seoul. He has also served in Kyiv, in Beijing (1999-2002), and with Regional Reconstruction Team Erbil in Iraq. In Washington, Jim has served as a Senior Watch Officer in the State Department’s 24/7 Operations Center, as the Korea Desk’s ROK Unit Chief, as a desk officer in the European Bureau’s Office of Ukraine, Moldova, and Belarus Affairs, and as an economic officer in the Economic Bureau’s Office of Multilateral Trade Affairs. Jim has a B.A. and M.A. from the University of Michigan and is a Hopkins-Nanjing Center graduate. Abraham Sorock founded Atlas China in 2012 help companies hire and manage Mandarin speaking international talent. The firm has provided consulting and staffing services for Western and Chinese clients, ranging from Fortune 500s and industry leaders like Merck and Haworth to highly specialized and growing technical companies. Abraham is a Mandarin speaker educated at the Hopkins- Nanjing Center and University of Wisconsin-Madison. He is a committee chair for AmCham China and previously led the Beijing branch of the Jewish cultural Moishe House. 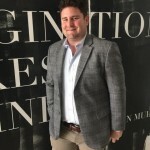 Robbie Shields is the Student Career Counselor at the Johns Hopkins University – Nanjing University Center for Chinese and American Studies (HNC). He works to help HNC students and alumni identify and achieve their career goals, while also managing employer relations in the Asia Pacific region for the HNC and SAIS. Prior to joining the HNC in 2012, he worked at the University of Floridaʼs Warrington College of Business Administration as an Advisor and Career Counselor. In addition to his work in education, Robbie has served as a clerk at the Federal Public Defenderʼs Office in Las Vegas, and the Alexandria Public Defenderʼs Office in Alexandria, Virginia. He holds a Bachelor of Arts in History from the University of Tennessee and a Juris Doctor from the University of Florida. The Hopkins-Nanjing Center for Chinese and American Studies, founded in 1986 in Nanjing, offers a unique bilingual and multinational learning environment at the graduate level, focused on international economics, politics, law and environmental issues. Its alumni community now numbers more than 2,600 graduates, employed across the full spectrum of China’s global relations. The Hopkins-Nanjing Center is an educational collaboration between the Nanjing University and the Johns Hopkins University School of Advanced International Studies.